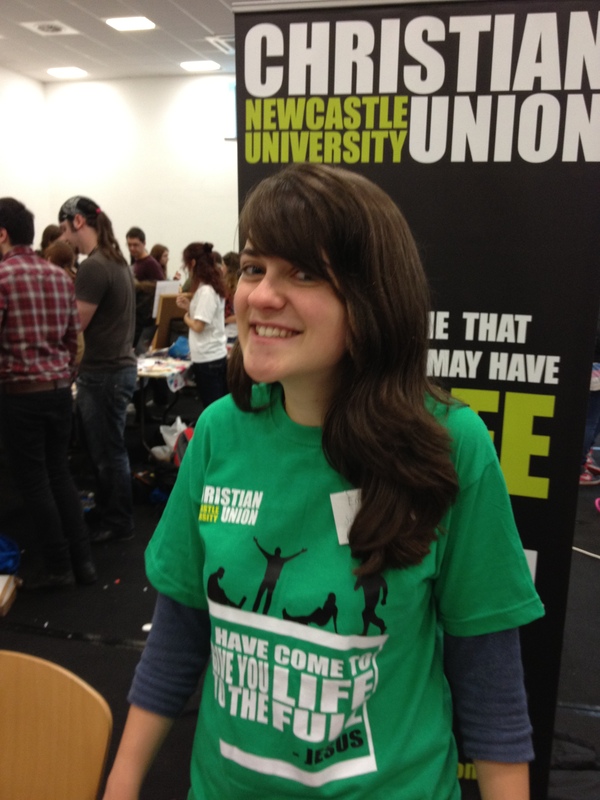 This year, for the first time, Newcastle CU were allowed a stand at the university’s Freshers’ Fair. The Fair is an opportunity for students to browse the various clubs, societies and teams available for them to get involved in while at uni. The CU hasn’t been allowed a stand at the fair before because they weren’t an official Student Union society, but this year they are. Hooray! I went to visit them yesterday and got a wee photo of Emma (CU Secretary), representing the CU and looking cheerful at it.